I know this picture shows a Registration No. 991 AFW, but when you read on you will see why. doubt to the Ashley not being used in the late 1970's. ​that he past on to the FSCC. Donor car: 1950 Ford Prefect - Reg. # MYB 610 - Somerset C.C. 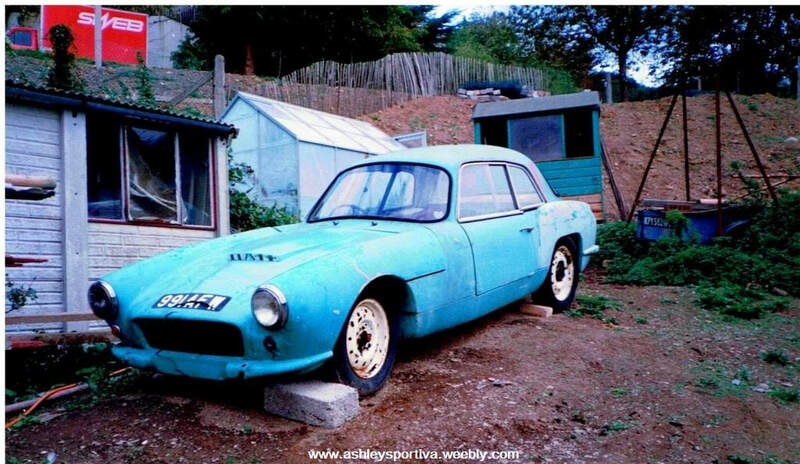 Chassis: Ashley Mk VI # 2059 (with fibreglass floor pan and rear seat wells, it also included front and rear suspension and clutch & brake pedal pendant assembly, see picture below. Wheels: 15" Pressed Steel c/w Hydraulic brakes. ​We also know that before Francis had the car, it had in December 1984 been re-registered as SSV 255 which was an "Age Related SV" Registration No. issued by Kinross C.C. in Scotland. So between 1961 and 1984 it has most likely been off the road and missed the electronic database entry by the DVLA and had to be re-registered. ​as I would like to know more.